For whom? This is the perfect spot for the best brunch in Paris for any gourmet family or foodie couple that are accustomed to the best. What’s in it? 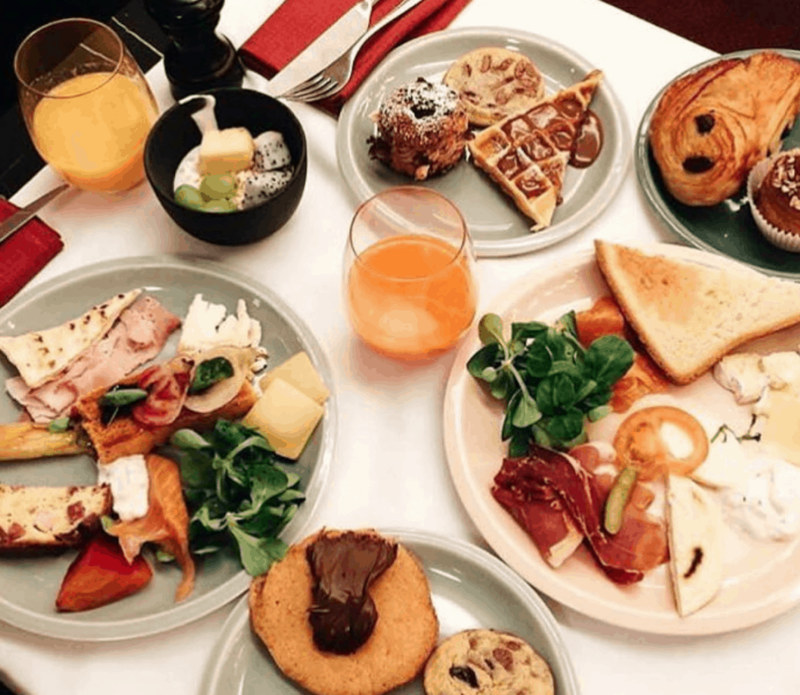 So why do we reckon this is the best brunch in Paris? The brunch is a little pricy (55€ per person) but it’s definitely worth it considering the quality of the food served at Thoumieux. You’ll enjoy unlimited exquisite patisserie creations of Thoumieux, and so much more : Dominique Secco’s farmhouse bread, Jean-Yves Bordier’s butter, and Marie-Anne Cantin’s refined cheese – we covered her amazing cheese shop in a previous article here. In a nutshell, the best & brightest of French cuisine! What do we love best? The lemon tart is to die for: so refined and balanced! We also loved the eggs benedict; you couldn’t really ever earn the title of best brunch in Paris without a ship-shape eggs benedict now, could you?! What’s the mood like? Restaurant Thoumieux is a rather formal and traditional place, but the very friendly and welcoming staff brighten the atmosphere of the restaurant. The large buffet is the center of attention, and you’ll enjoy watching people’s looks when a new amazing dish arrives from the busy kitchen. Check their Facebook fan page to get some visuals on the best brunch in Paris!